View More In Vehicle Backup Cameras. Portable Camera with rechargeable battery inside. 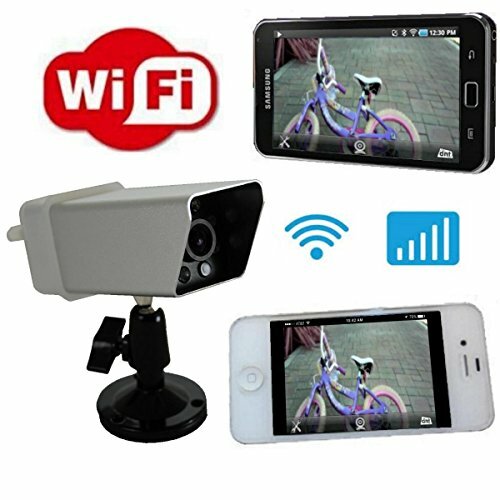 See the WIFI backup camera on your iPhone, iPad or any Android phone. Product support all iOS and Android device. Just download the free APP and you will see the WIFI backup camera on your device, including iPhone, iPad, Samsung and other smart phone device. Portable Backup camera for use with iOS and Android devices. Creates its own WIFI hotspot, no router or phone company signal or data plan need. Use with existing smart phones, tablets or pads with simple app based setup. Portable camera comes with car charger and home charger, can be used for 3-5 hours on a full charge. IR portable camera provides viewing day time and night time. High tension magnetic fully adjustable base for tailgate or body panel attachment. No installation, no wiring, just charge up the camera, and see it on your smart phone. If you have any questions about this product by 4UCam, contact us by completing and submitting the form below. If you are looking for a specif part number, please include it with your message.